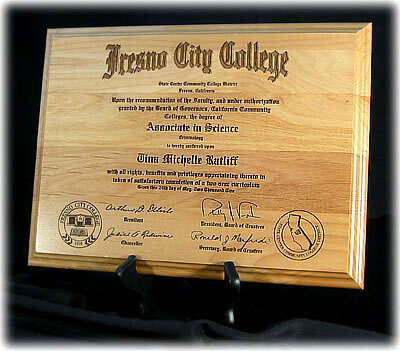 * Stunning laser engraved wood diplomas and certificates. Store your originals and display a stunning, detailed copy on solid Alder wood. Our graphic artist spent the extra time to make sure your achievement is as sharpe and pristine as possible. Each piece is permanently laser engraved. * Included with each order is document dust & scratch removal, logo/seal correction, contrast adjustments, sizing, optional gift message, proof image and engraving. Plaques come completed and ready for wall hanging. 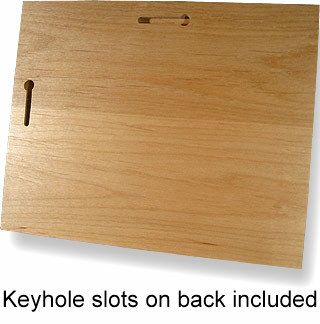 * About the Materials used: We use solid alder wood (Made in USA) plaques. Each plaque comes with keyhole slots on the back ready for wall hanging.